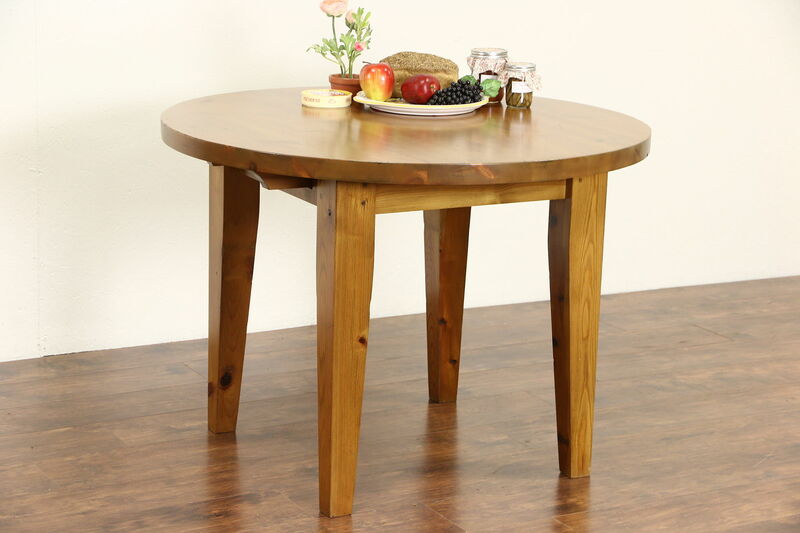 Ruggedly crafted about 60 years ago, a country pine round dining, breakfast or game table has an excellent renewed finish, preserving just enough mars for a little antique character. Legs are attached with wooden pegs, the top is almost 2" thick. This is American made and very well constructed vintage primitive furniture. Size is just over 42" diameter and 30 1/2" tall.